This is on the south side of Rincon. PJ scored this today and said it was super fun. Little Maui, by the public beach. This wave was in the middle of the little bay at the Marina between Malibu and Maui. In front of where Damiano rents his paddle boards. I surfed here and it was super fun. A small one from last week. NWS SJU Report: A Potent Nor’easter moved over the Northeast Coast of the US on March 2, 2018, rapidly intensifying into a 973 mb low. This potent low pressure system then moved over the northwest Atlantic Ocean during the following days. Hurricane force winds accompanied this low pressure resulting in seas over 40 feet in portions of the northwest Atlantic waters. Large swells generated by this intense extratropical storm traveled across much of the north Atlantic basin for several days. 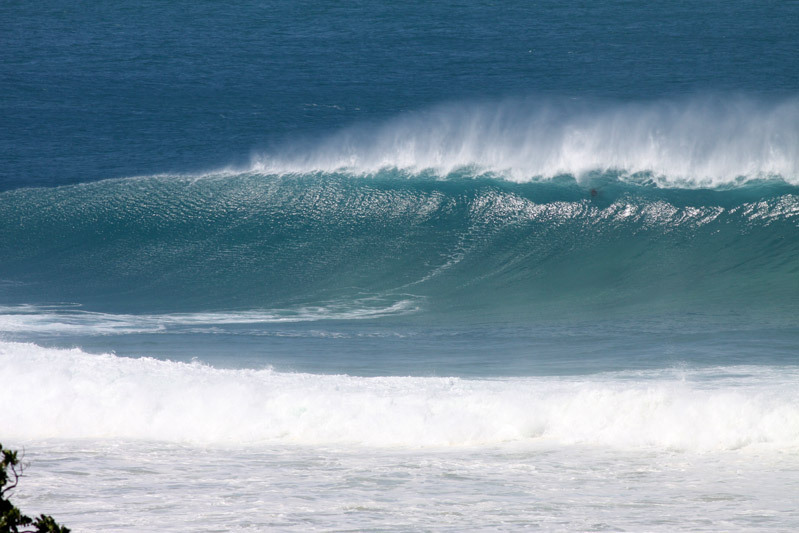 These large and very long period swells propagated towards the south-southeast across the basin affecting the Bahamas, Greater and Lesser Antilles and portions of the African coast. In the northeast Caribbean region, buoys 41043 (170 NM north-northeast of Puerto Rico) and 41053 (a few miles north of San Juan) measured significant wave heights between 15 and 20 feet and wave periods of 14 to 18 seconds. Based on the local marine climatology, the 20 foot waves measured at buoy 41043 represent a new record for March. The previous record for that buoy (deployed in 2007) was 16 feet during another extreme swell event in March 2008. At the nearshore buoy 41053 waves reached 17 feet on March 5th, the second highest wave height measured at that station. The record for the station is 18 feet during Hurricane Earl in September 2010 and Hurricane Maria in September 2017. 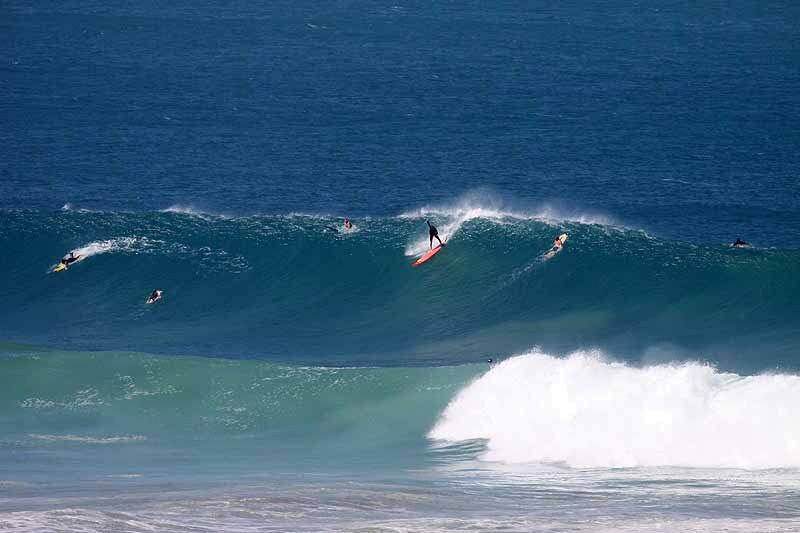 As these long period swells approached the coastlines of Puerto Rico and the U.S. Virgin Islands the wave heights increased producing estimated breaking waves of 25-30 feet. The impacts associated with this significant wave action affecting the north facing beaches of the islands produced widespread coastal flooding and major coastal erosion. 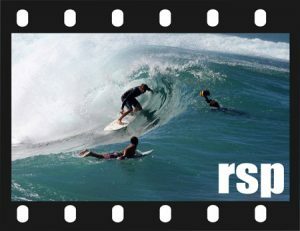 Approximately five months before this historical swell event, major hurricanes Irma and Maria affected the local region enhancing the vulnerability of our coastlines. 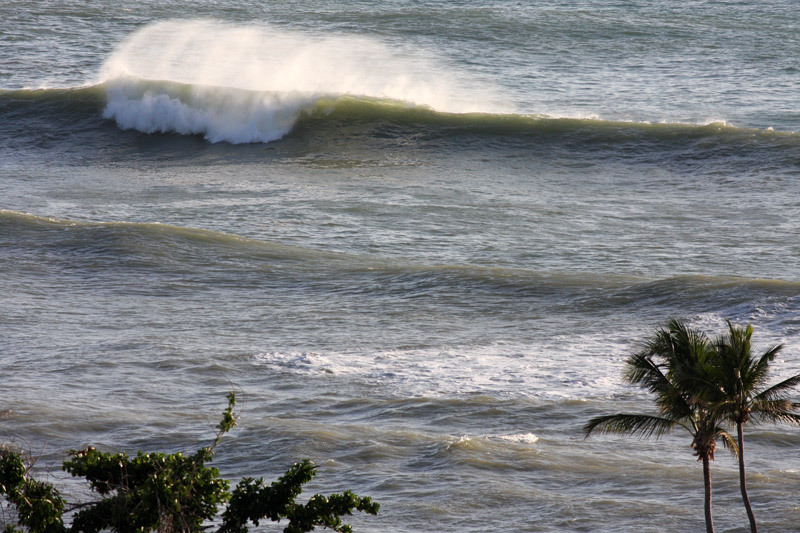 These huge swells slamming the coasts forced the authorities in Puerto Rico to evacuate people and close roads in several municipalities as well in the northwest coast of St. Thomas. Damages to coastal roads, docks and structures along the coasts were reported in several municipalities along the north and west coast of Puerto Rico. San Juan: Several roads along the shore were closed due to flooding and large amount of debris. Unknown numbers of beachgoers had to be rescued. La Princesa walking path in Old San Juan was partially destroyed by the swell action. Large amount of debris and sand affected the Ultimo Trolley area. Significant beach erosion occurred along the Condado area. Cataño: The municipality with most reports of damage. The walking pathway along the Bay of San Juan was destroyed. Hundreds of houses reported some kind of damage due to the flooding. 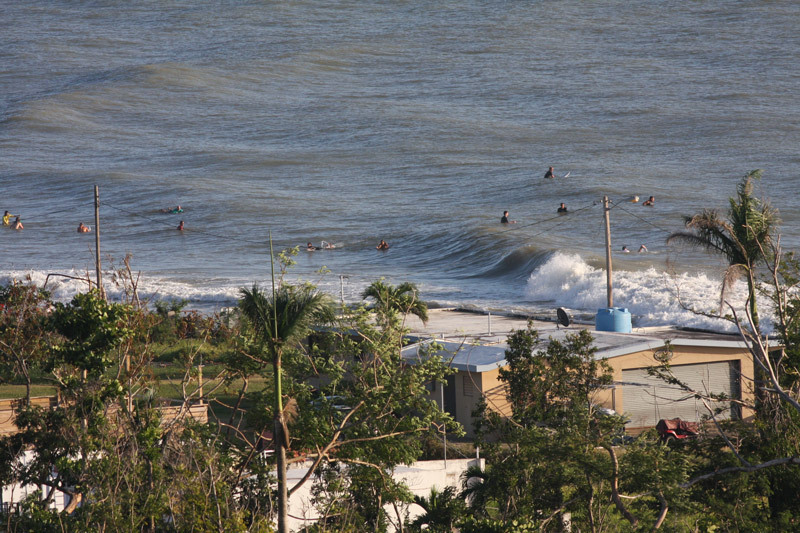 The swell action also impacted concrete structures in the Puntilla Sector. Arecibo: Road Victor Rojas had to be closed due to flooding and large amount of debris. Also road 681 was closed for similar reasons. Luquillo: Large swell caused significant erosion along the coast of Luquillo, mainly along the Fortuna sector where several concrete structures showed significant damage. Local roads were closed due to this large swell event. Isabela: Large swells affected the Villa Pesquera area, flooding some roads and affecting some concrete structures. Houses were flooded by large swells. Beach erosion affected road PR-466. Large amount of debris affected the areas surrounding Jobos beach. Hatillo: Road 119 was affected by flooding and large amount of debris. Loiza: Several cars and people were trapped due to flooding caused by the large swells in the Piñones area. Road 187 was closed due to flooding and large amount of debris affecting the road. 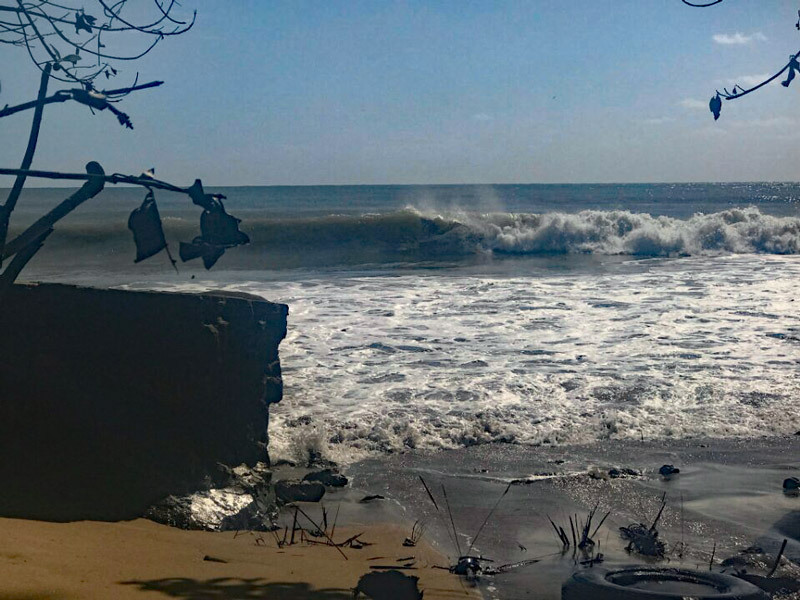 Significant erosion occurred along the coast of Loiza, mainly along Parcelas Suarez. Toa Baja: Road 165 closed due to flooding and large amount of debris due to the swells. Many schools and government offices were closed due to this event. Rincon: Structural damage along Sandy Beach and Don Antonio. Significant damage was reported to the Hotel Casa Isleña sea wall. 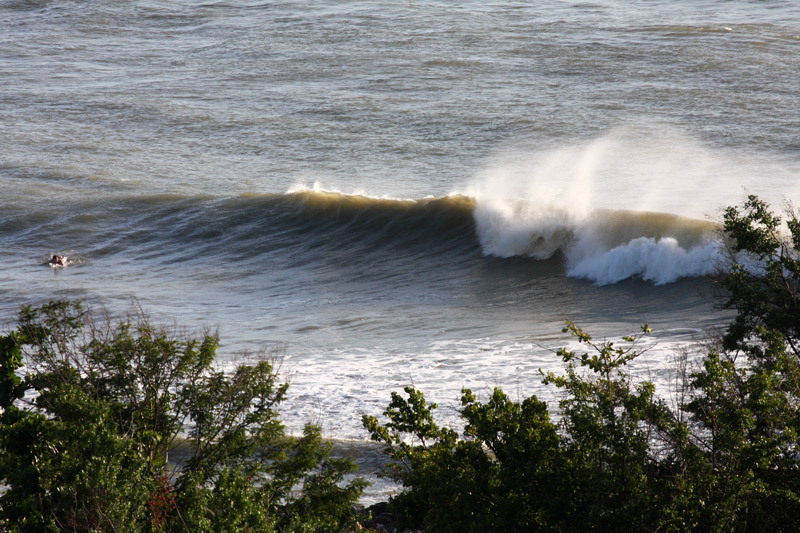 Saint Thomas: Magens Bay was closed due to this swell action. Road was covered by the sand and the landscape next to the road was flooded. Beach erosion was evident in Hull Bay Beach. This entry was posted in A Caribbean Travel, Puerto Rico, Storm Reports on March 19, 2018 by admin.